Looking for a light and fast email app for your Linux desktop? Try these open source alternatives to Mozilla's venerable client. It's easy to think other people use their computers and software in the same way you do. That they need every feature and function you rely on. That your computing choices are, or should be, their choices. 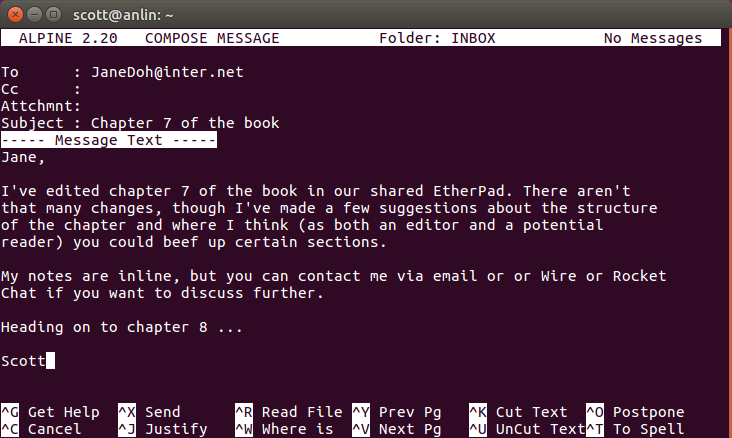 Take, for example, email clients for the Linux desktop. Mozilla Thunderbird is arguably one of the most popular open source email applications. It's big, packed with features, and very extensible. I know a number of people who rely on Thunderbird in the same way that others rely on Emacs or Vim. Not everyone needs everything that Thunderbird offers. Some people only need an email client that's light and fast, one that lets them send and receive email with a minimum of fuss. Presented for your perusal: four lightweight alternatives to Mozilla Thunderbird for the Linux desktop. These apps might be lean, but they get the job done. While it's been around for quite a while, Sylpheed isn't showing its age. In fact, it is still a vital and viable lightweight email client that packs enough features to keep most users happy and productive. Those features include support for multiple email accounts and templates that let you create custom replies to messages. Sylpheed makes it easy to configure filters for handling your email, too. 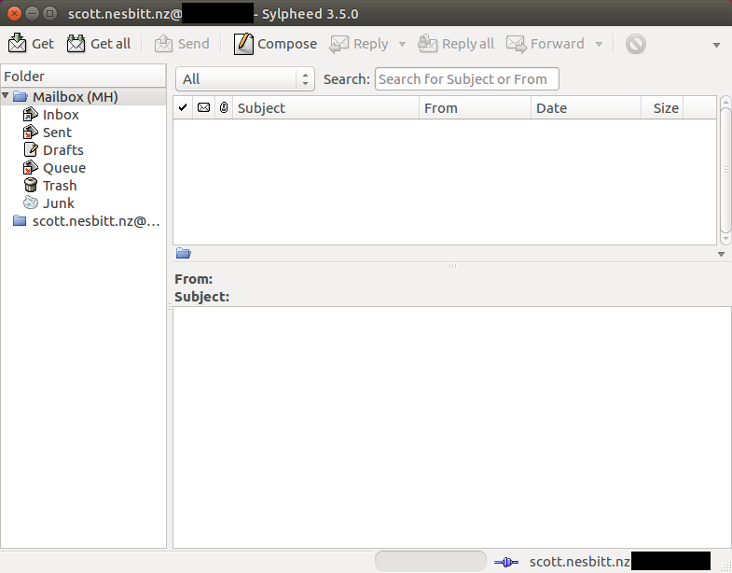 Sylpheed's editor is basic but more than functional with the ability to compose HTML messages and attach or insert files into a message. If you have an encryption tool based on PGP installed on your computer, you can also encrypt and sign your messages using PGP. Trojitá takes a novel approach to email. 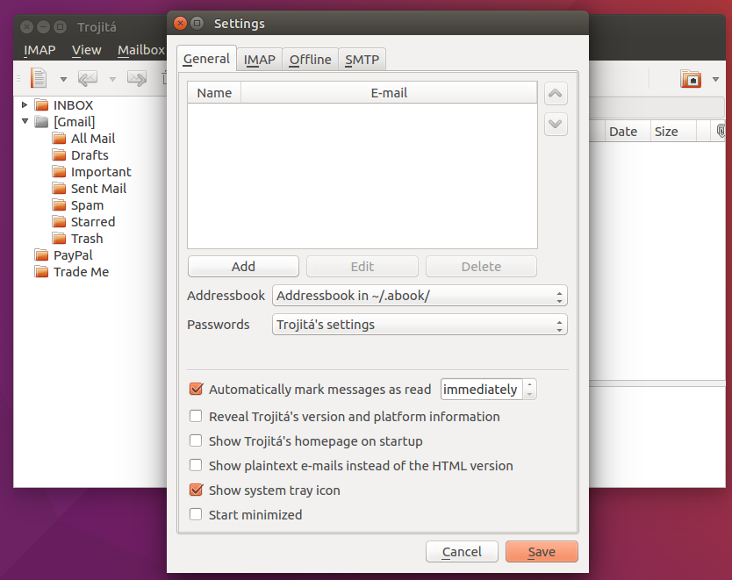 While just about every modern email client supports multiple mail protocols, Trojitá supports only IMAP. That means it doesn't download your message from an email server. 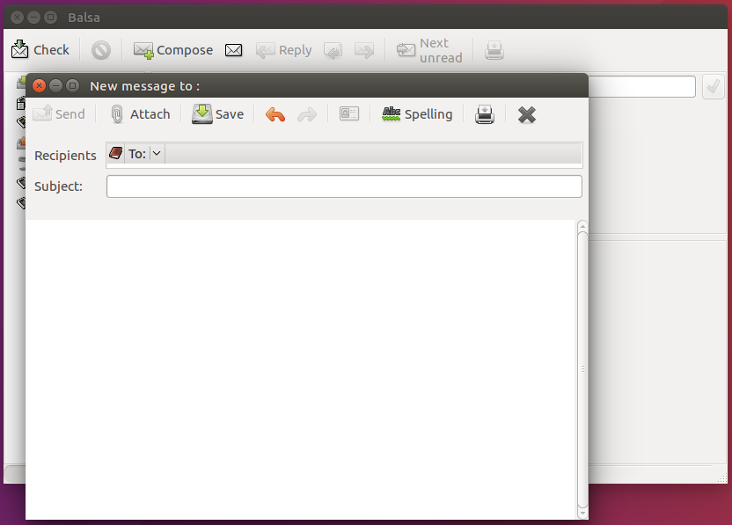 Instead, you access and work with those messages on the server via your desktop. That makes Trojitá quite fast and able to conserve bandwidth. The latter can be important if you're using a slow internet connection or paying for WiFi. Don't be fooled, though, Trojitá is still quite flexible. It supports multiple email accounts, lets you send and read HTML email, and permits either viewing details about the messages in your inbox or just focusing on one message at a time. You can also configure your own keyboard shortcuts to make Trojitá behave like other applications you use. While Balsa is a minimal application, it packs more than enough features to be useful. Balsa is easy to set up and has solid message-handling functions. You can, for example, hide messages based on whether they've been read or haven't been answered yet. Better yet, you can customize the toolbars so you see only buttons for the functions you regularly use. As you might expect, Balsa supports multiple email addresses and both the POP and IMAP protocols. If you prefer working in a terminal window, then your email client can't get much lighter than Alpine. It's a descendent of the classic Pine email client and lives up to its ancestor's legacy. Even if you're not a techie, you'll find Alpine easy to set up. You can do the job within the application; no need to edit a configuration file. You write messages in Alpine's version of the Pico text editor, which itself is easy to use. On top of that, Alpine supports several common email protocols like POP, SMTP, and IMAP. It also lets you send and receive email over a local network. You can't send HTML emails with Alpine, but you can read HTML emails that contain only text. Don't fancy any of the four applications I just discussed? Then you might want to check out these email clients. On the graphical side of the fence, there's Geary, which serves as the basis of Elementary OS's default mail client. Claws Mail is a fork of Sylpheed, with an extra feature or three. For the terminal junkies, there's the venerable Mutt. While Mutt's been around since the mid-1990s, it still gets the job done. If you're looking for something a bit more modern, check out Sup. It's designed to handle large volumes of email and even threads messages à la Gmail. Do you have a favorite lightweight email client? Feel free to share your preferences by leaving a comment. Which email client do you prefer? Kmail it's another option from the KDE community. That will help KDE developers to improve Kmail. Been a long-time happy user of Claws Mail. About the only complaint that I have with it is that it's still reliant on GTK2... and that's a recent complaint of mine when using higher resolution screens. Hopefully that'll change sometime in the near future, though. Victorhck > KMail is not an option, cause IMHO it's better :) as it supports multiple mail storage formats (MAILDIR included). Thunder didn't have such feature years ago, and still don't as far as I know. What email software can be used for windows platform except MS Outlook?